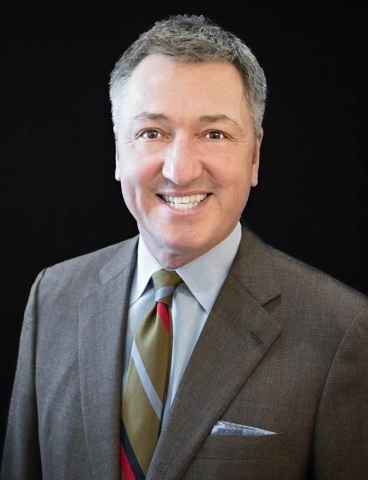 Sigfox U.S.A., the North America network operator for the global Low Power Wide Area Network (LPWAN) connectivity provider Sigfox, today announced that telecommunications industry veteran Murray Kawchuk has joined the company as Vice President of Sales. Based out of Sigfox U.S.A.'s Dallas office, Kawchuk will lead the charge in accelerating customer acquisition and revenue growth in the U.S. market. Sigfox U.S.A. has experienced significant traction since the beginning of 2018. The company increased activated objects by 400 percent from the previous year, with a threefold incease in both the number of use cases in production and the number of active proof of concepts. Brought on to build off of Sigfox U.S.A.'s recent momentum, Kawchuk will usher the company into its next phase of growth. From the Dallas office location - a reputed communications technology hub - Kawchuk will oversee Sigfox U.S.A.'s Northeast, Southeast, Midwest and West sales regions where there is Sigfox network coverage. He will also lead the company's sales, engineering and IoT portfolio teams. Leveraging his nearly thirty years of experience driving sales for blue chip companies, Kawchuk will accelerate the development of a growing customer base. He will forge new, and expand existing, relationships with IoT device manufacturers, system integrators and other partners to expand commercialized IoT solutions in the U.S. market. "Murray's extensive and distinguished background in the wireless B2B telecommunications field makes him a significant asset to the Sigfox U.S.A. team," said Christian Olivier, President of Sigfox U.S.A. "As our organization looks to expand our service to U.S. customers, Murray's broad network and reputation in the industry ensures we are aligned with the best in the business." Kawchuk is a recent cybersecurity entrepreneur focusing on B2B wireless and enterprise sectors. He has helped grow several tech startups and has led commercial and strategic drives at Axesstel and Nokia (News - Alert). While at Nokia, he helped put the company on the map in the Americas, generated billions of dollars in sales and increased market share by forging strategic relationships with customers and partners. "Having worked in the telecommunications industry for the majority of my career, I am deeply passionate about connections, with people and with things," said Kawchuk. "Sigfox U.S.A. is bringing a needed IoT connectivity for scale and I am excited to be a part of the organization's growth in this critical market. I see a tremendous opportunity to showcase the benefits of the Sigfox network and drive mass adoption with companies and services that need to digitize their business and parts of their operations."